The tour takes you on three-day adventure in Thailand’s north-eastern region of Isaan. 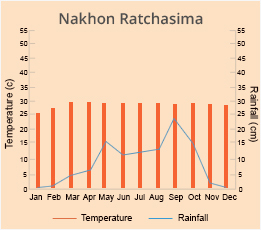 Explore tropical national parks, and discover ancient Khmer cities and Ban Sai Khawn village. 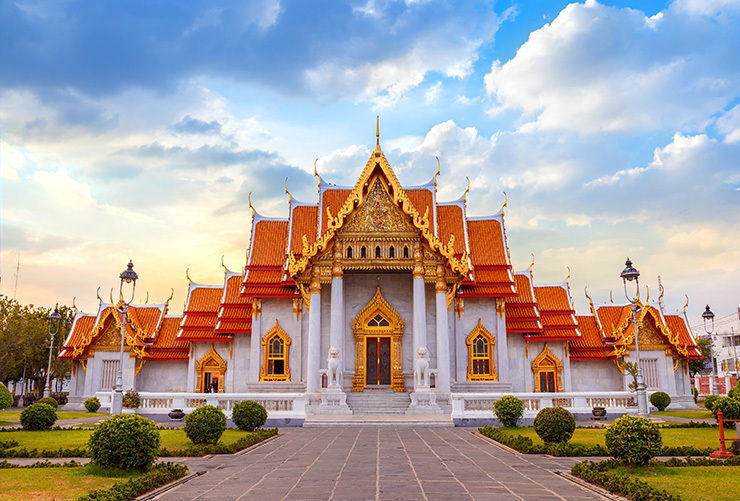 Visit Buddhist temples and meet local artisans. 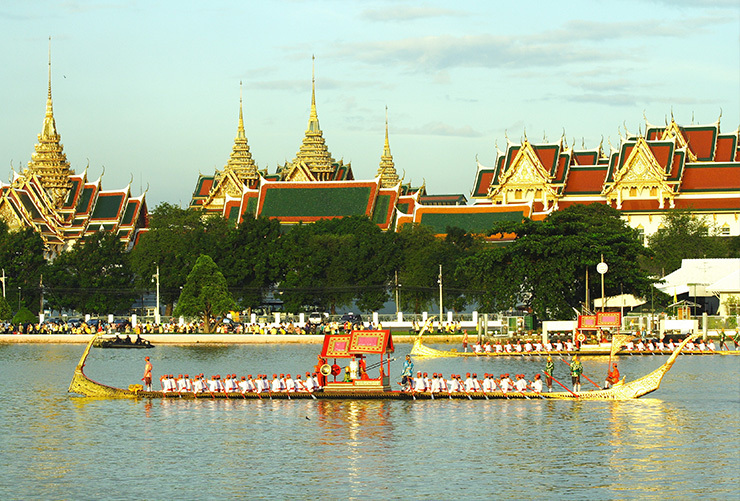 Cruise down the Mekong River and see the confluence of the Thai and Laotian borders. Explore Khao Yai National Park and enjoy Heu Narok waterfalls and the endangered wildlife. 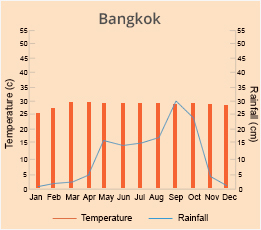 Morning pick-up from 07:00 from hotels in Bangkok . Soon you will enter the rural province of Prachinburi until you reach the southern entrance of the Khao Yai National Park, the country's best-known nature reserve and among the most important in southeast Asia. Enter the park and head for the beautiful Heu Narok waterfall following an exhilarating 3km trek along a special track in the forest. Visit the park’s headquarters, where you can observe the results of scientific studies conducted on various rare species of animals in the park and now in danger of extinction. Exit the park in the north, along the way admiring the magnificent mountainous landscapes. 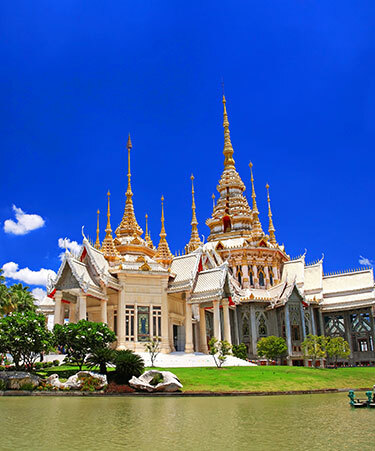 Continue to Isaan’s biggest city, Korat (the popular abbreviation for Nakhon Ratchasima), which has 3 million inhabitants and is Thailand’s second largest city. Late afternoon arrival in Korat. Overnight in hotel in Korat. After breakfast at the hotel, discover the wonders of the Khmer Empire at Prasat Hin Phimai. 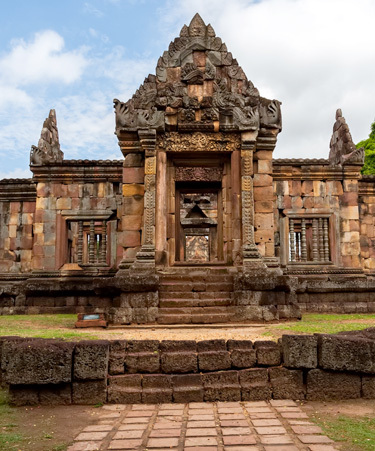 Nowadays it is a small town but in the era of the Khmer Empire, it was an important principality directly connected through the ancient Dharmasala route to the legendary Angkor in Cambodia. 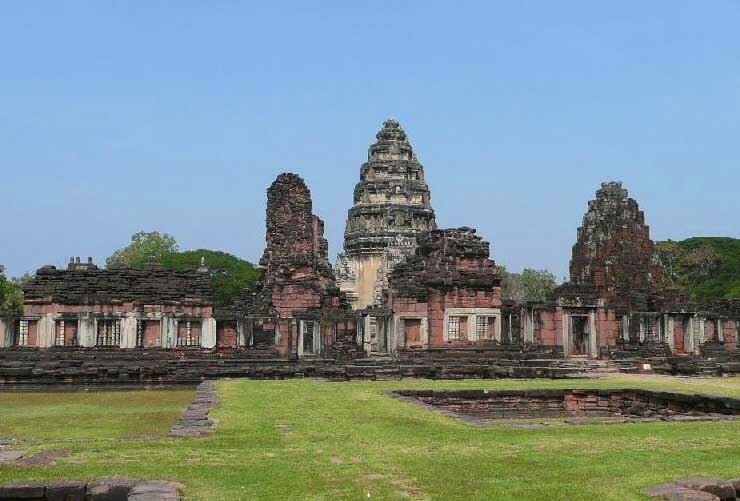 Continue on the Dharmasala route, descending towards the southeast to the magnificent temple of Phanom Rung in Buriram Province. Phanom Rung has bequeathed us with some of the finest carvings in bas-relief thus making it one of the best examples of Khmer artisanship in southeast Asia. Next, visit the ruins of the temple of Prasat Muang Tam, another splendid jewel of Khmer art. Lunch stop en-route, continuing to Ubon Ratchathani, in the heart of Isaan, with a number of stops along the route of high historical and architectural interest. Just beyond the city of Surin are the ruins of Sikhoraphum, one of the most ancient Khmer temples dating back to the 10th or perhaps the ninth century AD. Near the provincial capital of Sisaket, we find Wat Kamphaeng Yai. In modern Thai, it means ‘great wall’, which denotes the majesty of this most majestic place of worship built between the 11th and 12th centuries (the visit to Wat Kamphaeng Yai is subject to the verification of the times during the day). Late afternoon arrival in Ubon Ratchathani. Overnight in hotel in Ubon Ratchathani. Breakfast at the hotel is followed by Morning departure along a route that will culminate at the Mekong, one of the great Asian rivers, which divides Thailand from Laos. There is a brief stop along the way at the village of Ban Sai Khawn, where local artisans produce bronze gongs, which are used in Buddhist temples throughout country. Admire the artisans at work as they make moulds and decorate the bronze discs in makeshift and rudimentary laboratories. Continue to Khongjiam, the confluence of Mekong with the Mun, the main river of the Isaan plateau. Enjoy an exciting river cruise sailing to the meeting point of its two sources. Crossing unspoiled natural landscapes, reach the opposite bank of the river where you can see a sleepy Laotian village and admire the flow of life along the river (the Laotian village has no customs post, which unfortunately means you cannot alight from the boat). 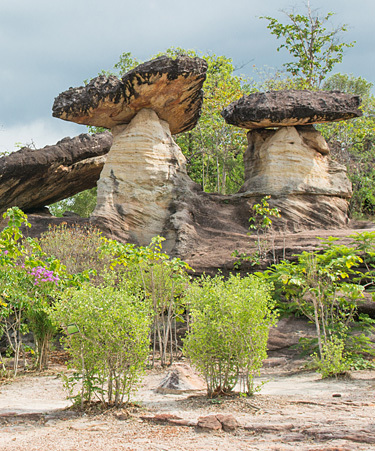 Stop for lunch en route and continue in the afternoon to visit the Pha Taem National Park, where the bizarre rock formations of Sao Chaliang are located. Hike to the top of Lan Hin Taek, which ends in a cliff overlooking the forest below. Proceed to the visitor centre and stop for a stunning panoramic view of Laos. Explore further the magnificence of Pha Taem National Park before transferring back to Ubon Ratchani (approximate arrival about 18:00 hrs). Drop off at your hotel or airport. 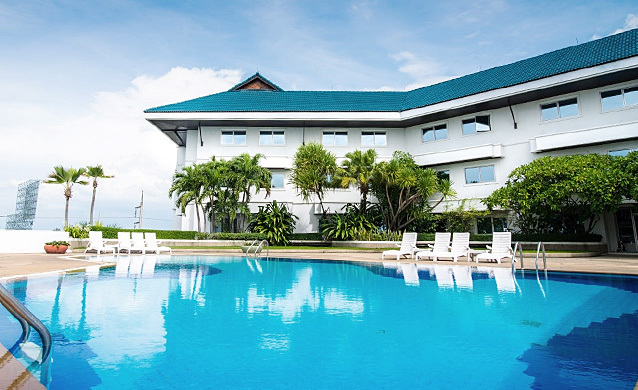 Situated in Nakhon Ratchasima, this hotel is within 1 mi (2 km) of Tesco Lotus Korat and The Mall Nakhon Ratchasima. Maha Weerawong National Museum is 2.6 mi (4.1 km) away. 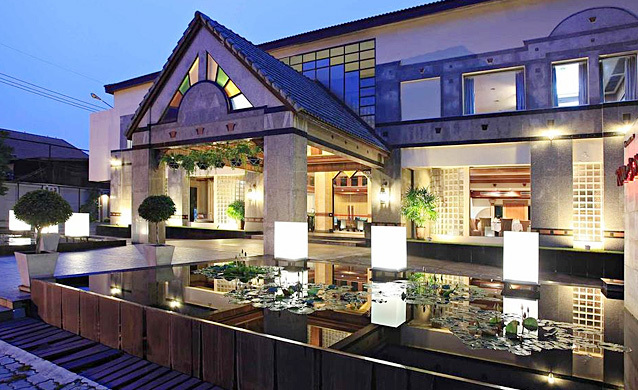 Hotel Tohsang City is a 15-minute drive from Ubon Ratchatani Railway Station and Sri Mueng Temple. Just a 10-minute drive from Ubon Ratchatani International Airport. Seat in coach – Wednesday on the first & third week of the month, package operate with English/Italian/Spanish speaking guide. Guaranteed departures on 1st and 3rd Wednesday.